After last-minute hotel booking service HotelQuickly opened doors in six Asian countries last year, the startup has announced that it is launching in the Philippines today. 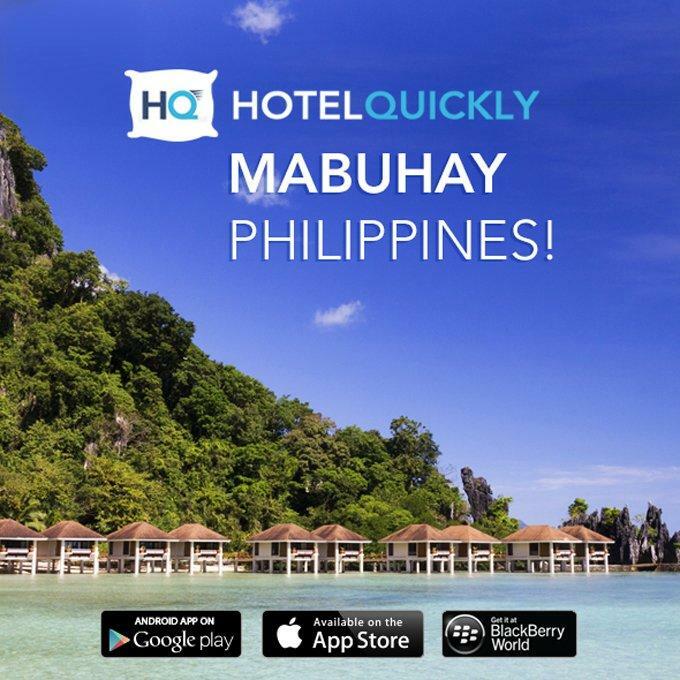 HotelQuickly will provide last-minute hotel deals in the metropolitan areas of Manila, Cebu, and Davao. Through the app, the best nine hotel deals will be shown to users once they open the app, depending on their location. Registration is required via Facebook or email, and only registered users will have access to hotel booking deals and its cost information. We will definitely further expand on the Philippines, there are a number of weekend destinations which we intend to cover over the course of the next weeks. It was a clear indication for us that we are missing out on an important market. We expect also domestic travels to be of importance in the Philippines, which is the reason why we also included Davao as part of our initial offering. But apart from just merely expanding, according to Tomas Laboutka, Co-Founder & CEO of HotelQuickly, it also picked the Philippines “to contribute a little bit to the recovery of the tourism industry on the Philippines” after it was struck by typhoon Hainan. As of this time, the HotelQuickly team manages Philippines operations remotely but it’s looking to hire a country manager and some sales agents to further its growth in the country. Last September, the hotel booking startup received $1.16 million funding from angel investors. HotelQuickly is available for free on iOS, Android and Blackberry 10. The post Rocket Internet alumni club startup Hotel Quickly rolls into the Philippines due to high demand appeared first on Tech in Asia.